It’s a fact that the roofing occupation is one fraught with risks, especially considering the circumstances under which roofers usually have to work. This is why it is essential for those in the roofing business to carry an insurance policy that will help safeguard them against risks. At Farmer Brown, we understand that it may prove too tasking for you alone to find the perfect roofing contractors insurance policy that will work for your business. You may not really know the perfect policy for your business, even when you think you do. Our experienced team of insurance professionals is on the ground to put their expertise to use, helping you get the best coverage. As your contractor’s liability insurance needs evolve, Farmer Brown will be there for you along the way to ensure you are adequately covered. Farmer Brown is not a new player in the insurance industry. We have been helping people meet their insurance needs for well over 15 years. We know that experience is often the difference between producing the desired result and failure. And experience, as they say, cannot be bought in the market. 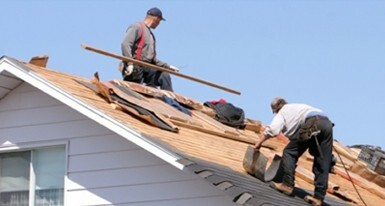 When it comes to providing dependable and affordable roofers insurance to contractors, we are very effective. One of the benefits you get to enjoy by choosing Farmer Brown is that you get a roofing insurance policy specially designed for your business. We know the needs of all businesses are not the same. It is essential that you carry insurance that fits your business needs. Our experts at Farmer Brown do not just make promises; they ensure that you get the coverage that works for you. Why Do I Need Contractors Insurance? Whatever be the size of your business, we can help you craft a policy that meets your unique contractor’s liability insurance needs. Farmer Brown is able to negotiate with insurers to get the perfect policies for you. In addition, we work with top insurance companies, so you do not have to worry about the quality of coverage you will be getting. The customer service at Farmer Brown is top notch and highly responsive because we value our clients so much and we desire to always be on the ground to attend to their needs. Farmer Brown sales team is professional and possesses the insurance knowledge and expertise needed to get you the right solutions. You can easily obtain a quote online or by calling (888) 973-0016 now.